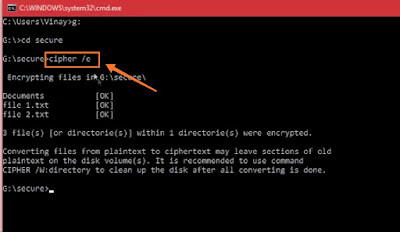 Home / tutorials / How to Encrypt/Decrypt Files using command Prompt? Encryption :- Converting plaintext into some coded form which is non-readable to person. Decryption :- It is the process of converting coded-form back into plaintext. Encryption/Decryption mostly used while transmitting data over internet. Now, Let's see how can you encrypt/decrypt file using command prompt in just simple steps. 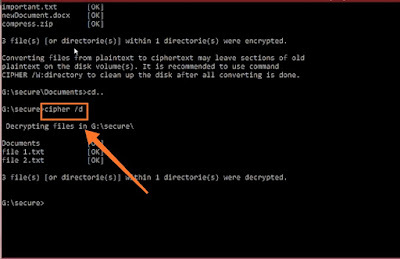 Read also "How to change your PC password using command prompt"
>Go to directory where target files are resides by cd command (eg. cd home/xyz). >Make sure there must contain at least one file of any extension (eg. exe, ppt, mp3, mkv, mp4, jpeg, png, gif etc). >Type 'cipher /e' command and hit enter (/e stand for encryption here). > Your files are successfully encrypted. Now, when you will try to open your encrypted files, it will not open as usual. Rather it display a prompt box saying "Access is denied". 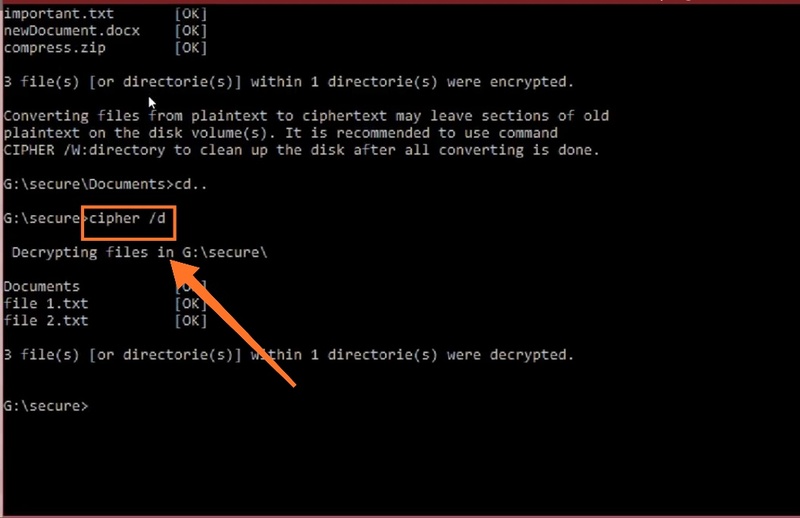 >If you're in same older where encrypted files are contain, then it's fine otherwise go to that folder first in command prompt. >Type 'cipher /d' and hit enter. >Your files are now decrypted and can be able to open as usual. If you want such more tips and tricks related to computer then stay tune with me. Let me know through your comments if you have any query or suggestions.